Dual power is falling apart. 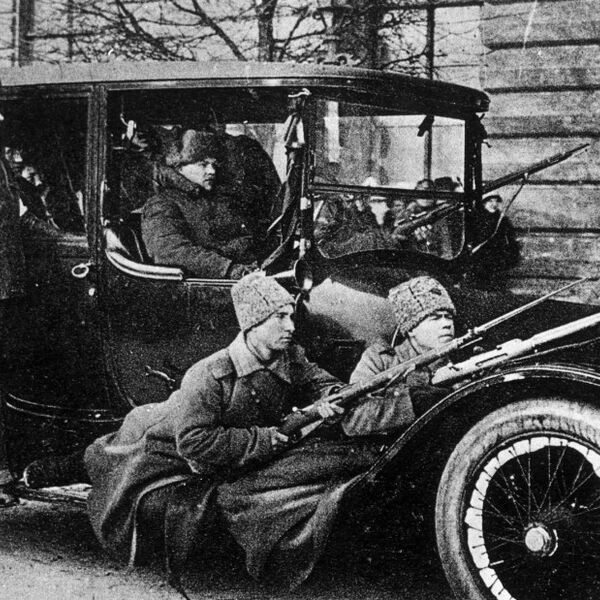 After the uprising of the July Days and the disastrous Kerensky offensive, the Provisional Government looks to the military for help against the Soviet. The new Prime Minister Kerensky appoints a right-wing general as Commander-in-Chief and enters negotiations for an alliance against the left. Talks break down, and the masses are armed in response to a right-wing threat. Kerensky’s popularity plummets and the Bolsheviks begin to win majorities in Soviets and labor organizations throughout the Empire. The masses punish the moderate parties for their collaboration with the bourgeoisie and the shouts for “All Power to the Soviets” grows louder and louder. As the Provisional Government appears poised for collapse, Lenin returns and urges an immediate insurrection.